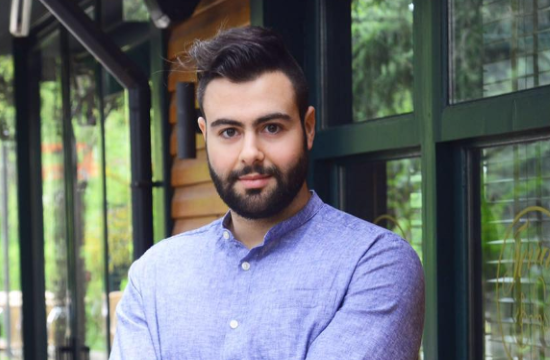 At the young age of 28, Athens born and raised Asimakis Chaniotis has become the youngest Michelin Star chef in London and the first Greek outside of Greece to receive this prestigious accolade, greekcitytimes.com reports. Having trained in the Greek capital, at the age of 21, Asimakis became a sous chef before heading to London and by 22 he began working at the prestigious Pied à Terre restaurant alongside renowned chefs Marcus Eaves and Andy McFadden. At the age of only 27, Asimakis was appointed executive chef at this critically-acclaimed French restaurant. “Food was always at the centre of family life. I spent my school holidays at my grandparent’s farmhouse in Kefalonia where I was surrounded by fresh produce with trees and bushes producing the finest fruit and vegetables including pomegranate trees, fig trees, wild oregano, and olive trees as far as the eye can see. So when it came to deciding my career, I knew straight away I wanted to be a chef. My new role at Pied à Terre has given me the opportunity to develop my creativity and continue to deliver an outstanding experience,” Asimakis told London publication Sloan. Having worked in a variety of kitchens from Hotel chains to restaurants to British pubs and from fine dining to banquets and exhibition centres, Asimakis was also a private chef on a yacht, nevertheless he says his real passion is fine dining and French cuisine, as he loves the precision, the creativity, and the artistry that it involves. The talented chef has also received worldwide praise for banning swearing in his kitchen. “It’s the first thing I did. When I went to Per Se I was wowed by the restaurant having 150 covers for lunch and dinner, 25 to 30 chefs and there was no shouting or swearing. There was no physical or mental abuse and I was so surprised having experienced all that in London. I wanted to make sure we have nice, positive energy in the kitchen. There are nine of us in this kitchen and of course, chefs will at some point get upset and they will swear because they’ve dropped something for example but that is not a problem. What I have banned is swearing at people, I want to be an example to my staff and I don’t want anyone to feel intimidated by anyone else and its working,” Asimakis notes.